DecoBricks are a system of modular building bricks made from recycled PET plastic. The decorative bricks repurpose plastic cups and bottles, and they can be used to create green walls, buildings, and pathways. Designed by Dr.Hakan Gürsu from Designnobis, DecoBricks have been honored with a Green Dot Award and an A’ Design Award. DecoBricks are a system of modular building bricks made from recycled PET plastic. 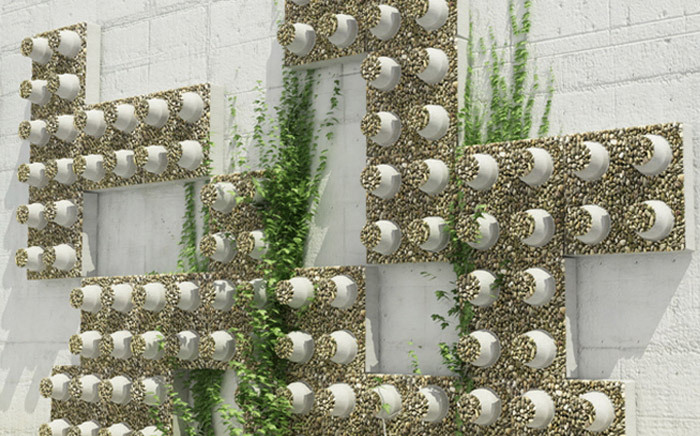 The decorative bricks repurpose plastic cups and bottles, and they can be used to create green walls, buildings, and pathways. Designed by Dr.Hakan Gürsu from Designnobis, DecoBricks have been honored with a Green Dot Award and an A' Design Award.